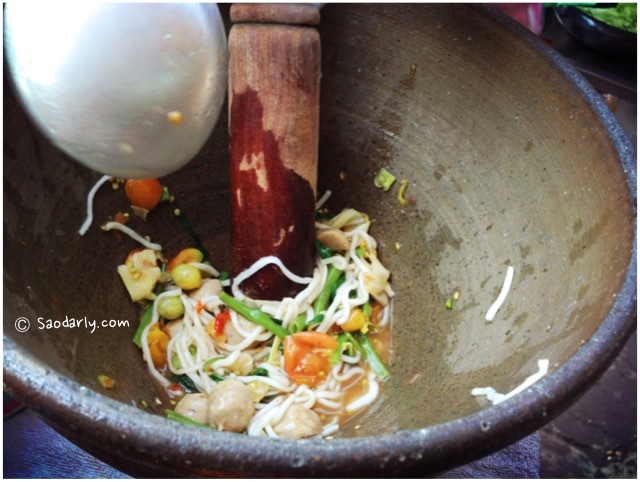 Spicy Khao Piak Noodle Salad (Tam Khao Piak; ຕໍາເຂົ້າປຽກ) for snack at Center Point Juice Bar, in Vientiane, Laos. My cousin decided to treat me and the rest of the family members to snacks and drinks before dinner. We settled down at Center Point Juice Bar with the intention of ordering Tam Maak Hoong to go with our Soy Milk. 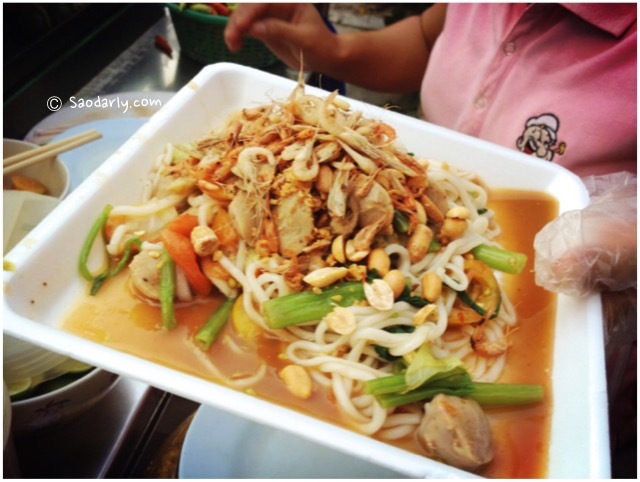 Rather than ordering the usual Tam Maak Hoong aka Lao Green Papaya Salad, we ordered four types of spicy noodle salad instead with toppings of shrimps and roasted peanuts. 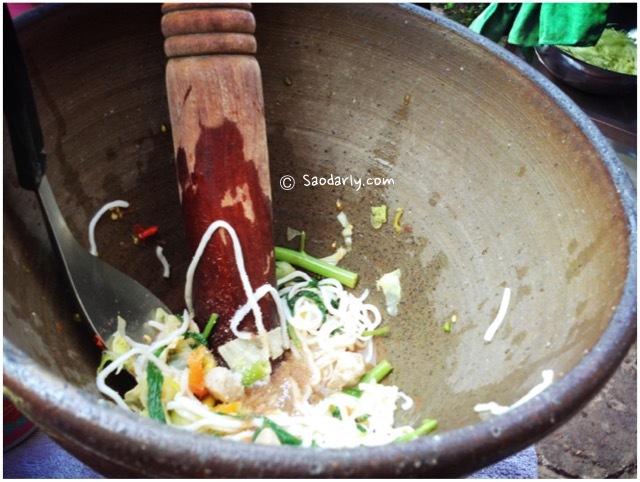 Spicy Noodle Salad using Khao Piak Sen (Khao Piak Noodle) with vegetables was one of our snacks.